The biggest tree on our parcel. 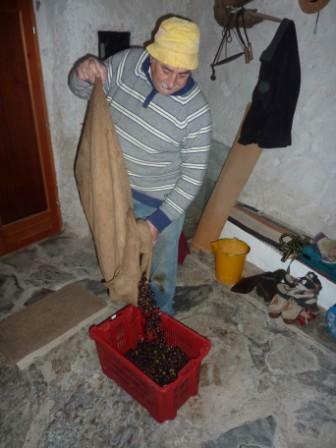 For the first time in our lives we harvested olives. Four about four hours we were busy spreading nets, thrashing the upper parts of the trees with sticks and picking. 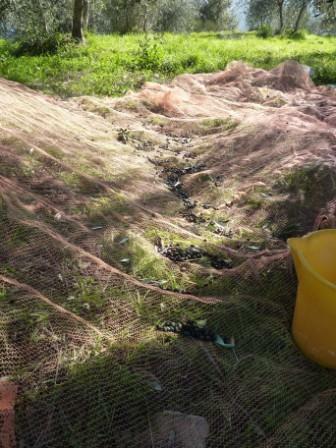 A very laborious work in order to gather – thanks to the temporary help of our German neighbours – about 16 kilos of olives, originating from the 13 trees on our groundpiece. The olives affected by the fly; you can see the brown spots. 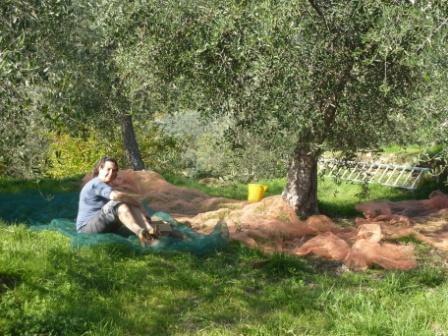 Most of the olives were unluckily tarnished by some kind of olive-fly. 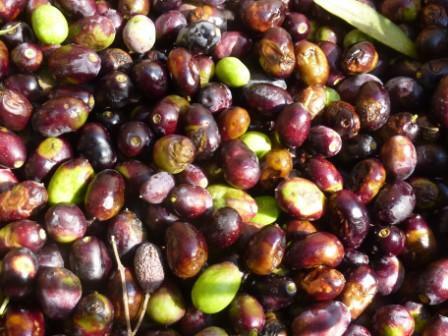 This year was a disaster for the olive culture in most parts of the Merula Valley. 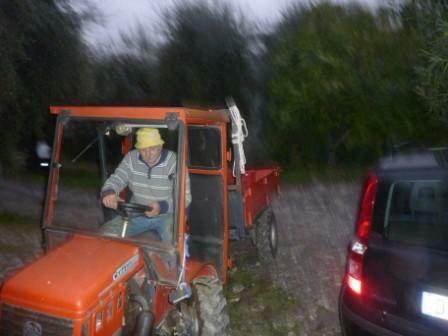 Those farmers who don’t use insecticides – they are forced to do so by legislation; otherwise they loose their ,,appellazione controllata’’ for their oil -, saw their olives for more than the half affected by the fly. Brown spots on the green olives are the sign that the olives are sick and last month already many premature olives were falling on the ground. Most farmers didn’t even spread their nets, this year. 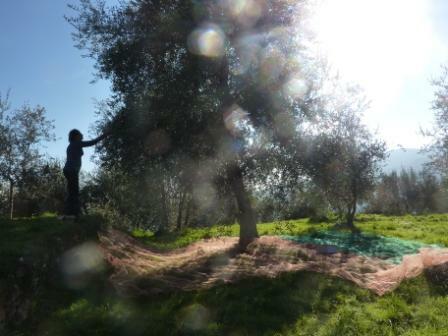 Pure luck: harvesting olives in a sunny November temperature of 20°Celsius. 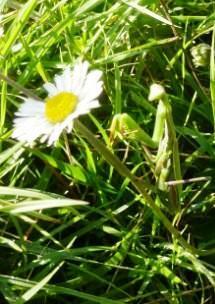 An unusual late visitor: the mantis! Heb even mijn angst voor het onbekende ( reacties op blogs, facebooktoestanden,…) overwonnen. De grote sprong voorwaaarts! Ik ben echt onder de indruk van je ‘nieuwe leven’ dat je daar aan het opbouwen bent. Olijven, gecontamineerd door een bepaalde vlieg, het is eens wat anders dan de dagelijkse beslommeringen aan het atheneetje.